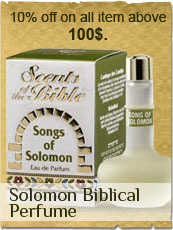 Thank you for visiting our web site "Bible Land Shop". Bible Land Shop is obligated for our costumer privacy. The privacy practices set forth are for this web site only. We collect personally identifiable information, like names, postal addresses, email addresses, etc., when voluntarily submitted by our visitors. The information you provide is used only by www.biblelandshop.net for statistical and customer relations only. type and operating system, tracking the number of visitors to the Site, and understanding how visitors use the Site. Cookies can also help customize the Site for visitors. Personal information cannot be collected via cookies and other tracking technology. However, if you previously provided personally identifiable information, cookies may be tied to such information. Aggregate cookie and tracking information may be shared with third parties. place. The information gathered by Biblelandshop.net WILL NEVER BE USED as a subject for outer source marketing purposes. agents and contractors (who have agreed to keep information secure and confidential) have access to this information. All emails and newsletters from this site allow you to opt out of further mailings.